Italy’s president has granted a partial pardon to a former CIA officer for her role in the 2003 abduction of an Egyptian cleric. 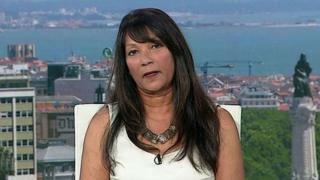 Sabrina de Sousa, who had been convicted in absentia, was detained by Portuguese police last week. President Sergio Mattarella’s decision to reduce the American’s sentence from four years to three means she can apply for alternative sanctions to prison. De Sousa denies involvement in the seizure of Hassan Mustafa Osama Nasr. The former CIA agent, who also holds Portuguese nationality, had been due to be flown from Lisbon to Milan on Wednesday to start serving her sentence. In all, Italy’s court in 2009 convicted 23 Americans and two Italians over the kidnapping. All the Americans were tried in absentia. Hassan Mustafa Osama Nasr, also known as Abu Omar, was seized under the CIA’s “extraordinary rendition” programme. After being taken from Milan to Egypt, via US air bases in Italy and Germany, he was held for four years without trial before being released. He said he had been tortured. But in December 2013, he was convicted in absentia of “criminal association for the purposes of international terrorism” by a court in Milan and sentenced to six years in prison. Last year, the European Court of Human Rights condemned Italy over the abduction, ordering it to pay €115,000 (£98,247; $121,600) in damages and expenses to Nasr and his wife Nabila Ghali. In an interview with the BBC’s HARDtalk programme in August 2016 de Sousa described rendition programmes as “totally counterproductive”.